Reiki Sessions What is Reiki? The word Reiki means “life force energy”; it is a Japanese technique used for stress reduction and relaxation which also promotes healing. It is administered by holding the hands lightly on or above the body and is based on the idea that a "life force energy" flows through us. If our "life force energy" is low, then we are more likely to get sick or feel stress, and if it is high, we are more capable of being happy and healthy. Reiki is often used as a complement to (not to replace) conventional medical treatment. Reiki is used in many medical and therapeutic settings such as hospitals, hospice, chiropractic, massage and PT therapy offices, as well as cancer and trauma centers. Reiki healing sessions treat the whole person including the physical, emotional, mind and spirit. Reiki can reduce fatigue, stress and anxiety, increase energy levels, focus and concentration, relieve pain and boost the immune system. Treatment focuses on the flow of energy, through 20 major channels called meridians. Reiki sessions are guided by the energy itself and not the practitioner, therefore the healing energy goes where it is needed. Sometimes clients sense heat or cold, energy movement, tingling, deep relaxation or don’t sense anything in particular. No worries, the Reiki is still working!! What to expect: Reiki is gentle and non-invasive, and is administered with light touch on or above the body. Wear comfortable clothing; typically clients remove jewelry and shoes during a Reiki session. Reiki Session Cost: $80/1 hour Contact us to schedule your appointments. Reiki + Restorative Yoga Session Cost: $115/90 min. Contact us to schedule your appointments. Private/Semi-Private Yoga Sessions We offer sessions for adults using restorative, integrative and thereputic yoga techniques at a studio in Annandale. Contact us to schedule your sessions. Group Yoga Classes We offer group classes for adults at a studio in Annandale. Contact us for current schedule. 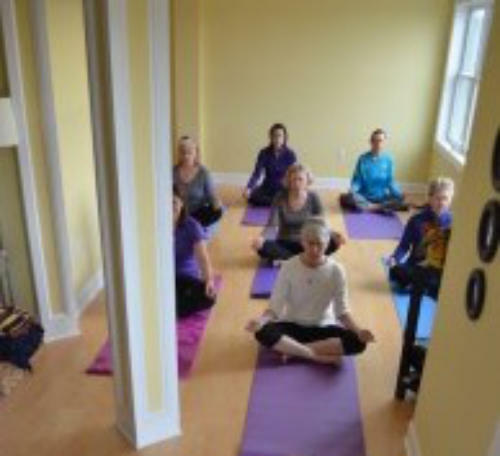 Meditation & Mindfulness Classes We offer classes for adults at a studio in Annandale. Contact us for current schedule.